A while ago, Travel + Leisure analyzed annual traffic to some of the world’s most loved tourist spots and came up with a list of the 50 most visited tourist attractions in the world. 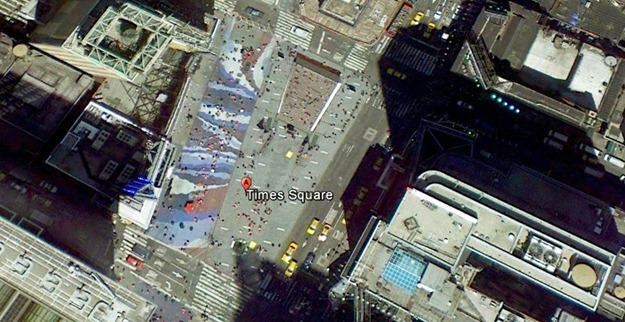 On a whim, I decided to take a look at what these 50 tourist spots look like on Google Earth. What is it: A theme park with a nearly 90 meters tall Ferris wheel. Probably has a spa or two somewhere as well. 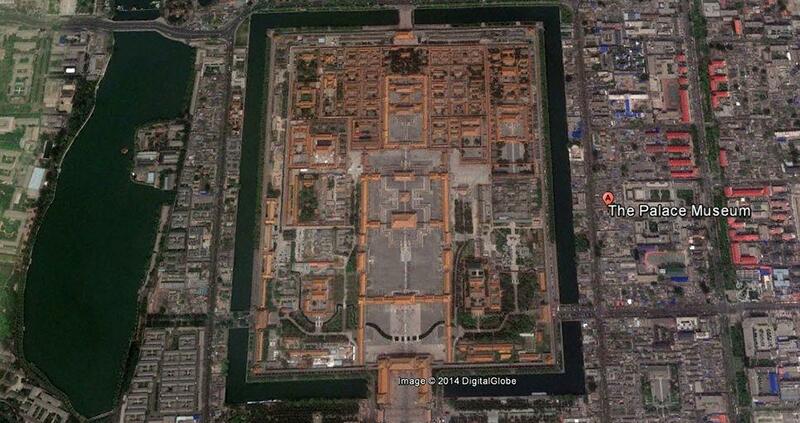 What is it: A palace so opulent that it may have caused the French Revolution and hence, the modern world. Thank you, Louis XIV. What is it: A theme park with rides inspired by some of pop culture’s biggest franchises. This, for some reason, includes Waterworld. What is it: A historic street in New Orleans where it is permissible to be drunk at two in the afternoon. On Mardi Gras, at least. What is it: The largest collection of art in the US. This includes Hippo William. What is it: The memorial to America’s favorite president and the reason why Daniel Day Lewis now has three Oscars. What is it: Universal Studios’ Florida outpost. 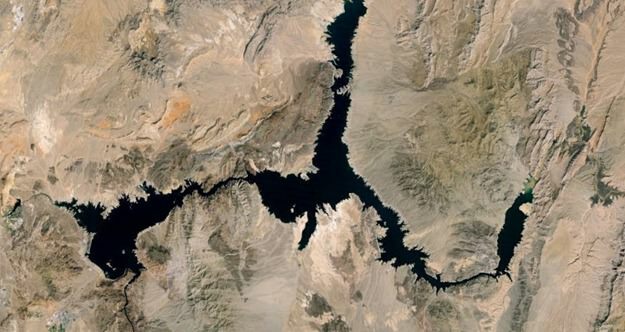 What is it: The lake formed after the construction of the Hoover dam. Place where they hid Megatron. 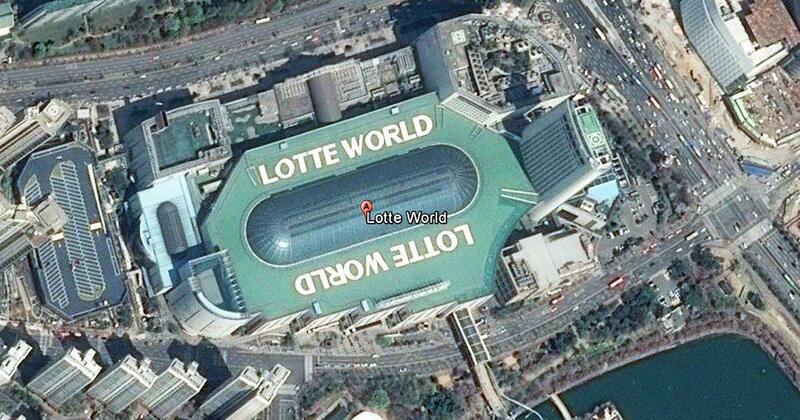 What is it: World’s largest indoor theme park. Has its own indoor island. What is it: Disney’s Hong Kong outpost where it is possible to see Fen Shui Mickey Mouse. What is it: One of the largest museums in the world with a priceless collection of artifacts (artefacts, to our British readers) that includes the Rosetta Stone, the Cyrus Cylinder and the world’s largest collection of Egyptian antiquities. What is it: Theme park that boasts the world’s steepest wooden roller coaster. What is it: An old, old wooden ship used in the Civil War. What is it: The world’s largest collection of aircrafts in the world. What is it: The highest mountain in Hong Kong with commanding views of the city. What is it: Theme park and marine mammal park. What is it: Disney’s Anaheim outpost on the west-coast. 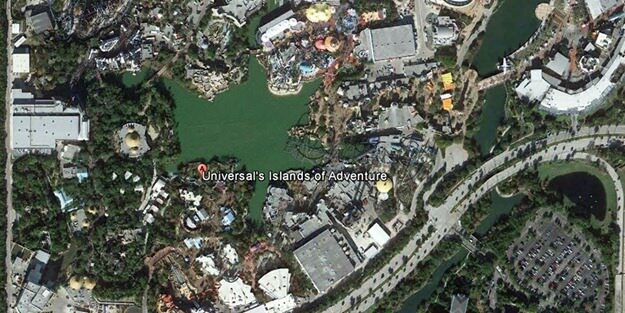 What is it: A theme park run by Universal Studios in Orlando, FL. 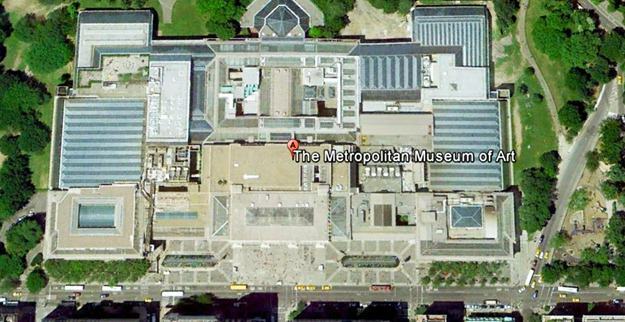 What is it: The world’s most visited museum of natural history with 126 million specimens. Site of Night at the Museum 2. What is it: An opera house that’s now the most well known symbol of Australia after kangaroos and Foster’s. What is it: Shopping center and tourist attraction built on a pier overlooking the San Francisco bay. What is it: A historic area of NYC that offers commanding views of the Brooklyn Bridge. What is it A ginormous wall that, contrary to popular belief, can not be seen from space. What is it: The museum where Tom Hanks battles secretive religious orders and horrible haircuts using pseudo-scientific-religious psychobabble. Also has the Mona Lisa. What is it: A kilometer long stretch of fun-filled activities that includes eating stale, overpriced deep-dish pizza. What is it: Nearly 820 square miles of breathtaking wilderness. What is it: Universal’s chief Japanese outpost, complete with a Harry Potter ride. 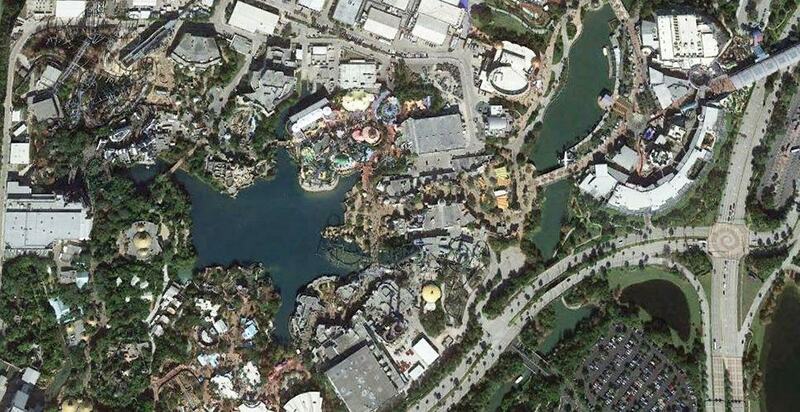 What is it: A park built after Disney got tired of seeing Universal milk Hollywood nostalgia for billions of dollars. What is it: A chance to experience the thrills of the African wilderness while you brave bratty kids, octogenarians and slow moving families. What is it: Mexico’s most important public square and taco discovery center. What is it: Farmer’s markets, artisan food, craft makers and other people too hip even for Portland. What is it: A historic area overlooking Victoria Harbour and populated with more tourist traps you can imagine. What is it: A historic church located at the highest point in the city. You get bonus points for mangling the pronunciation of its name and watching the Parisians look upon you condescendingly. What is it: Scientific innovations, mechanical marvels and technological wonders dominate this theme park. Still no light saber duels though. What is it: A theme park to gently reminds Europeans that riding a rollercoaster is waaay more fun than looking at a Van Gogh painting in the Louvre. What is it: The water based version of Disney’s Tokyo theme park. What is it: San Francisco’s version of Central Park, albeit with fewer Shakespeare recitals. What is it: One of the prettiest cathedrals in the world, with a storied history to boot. What is it: A theme park bringing good, wholesome American culture to the Japanese. What is it: A huge covered bazaar with a history dating back to thousands of years that’s now mostly been reduced to a tourist trap. Still worth a visit. What is it: The center of Chinese imperial power for over 500 years where no commoner was allowed to enter. A symbol of class oppression for centuries, now great spot for taking selfies. 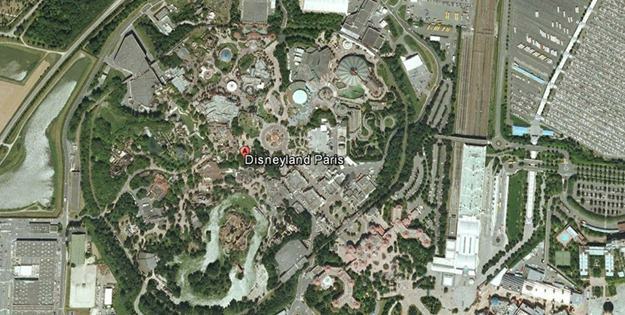 What is it: Another Disney theme park in Anaheim, because you can never really have enough theme parks. 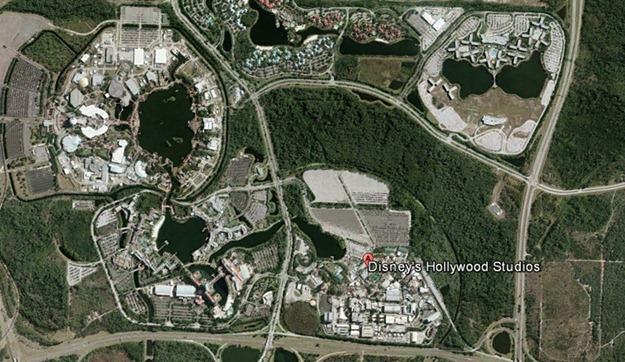 What is it: The first Disney theme park in Orlando that started it all. What is it: America’s “cradle of liberty” – a historic site where Samuel Adams gave many speeches. What is it: New York’s most visited train terminal with a famously well crafted ceiling. What is it: The waterfall with the world’s highest mean annual flow rate. Second best thing about Buffalo after the wings. 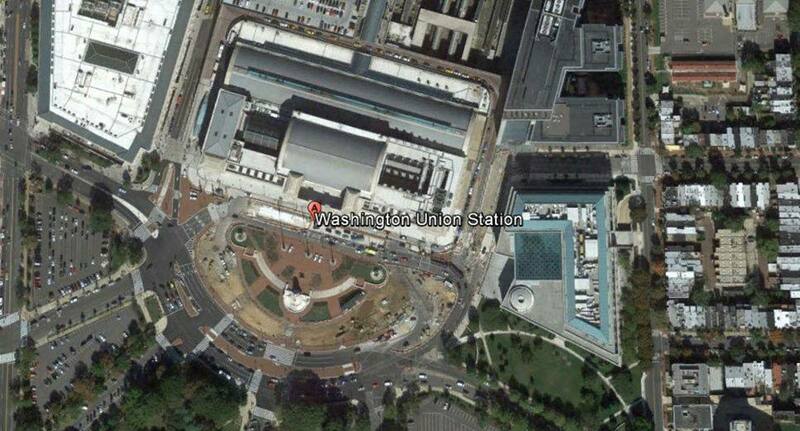 What is it: Headquarters of America’s finest transporting company, Amtrak. Also popular for its beautiful architecture. What is it: The park that hosts all late night reunions in rom-coms. Also, serial killers and crazy pigeon feeding ladies. What is it: A popular public square that no one who’s ever lived in New York will ever go to willingly. What is it: A strip of decadent casinos. Possibly mankind’s greatest achievement. I have some reservations about these numbers (Union Station, for instance, hosts both tourists and commuters). I also know for a fact that places like Taj Mahal receive a lot of people, though I don’t think there is any official count. But for the most part, this was a fun little exercise that I hope you enjoyed! P.S. LoveHomeSwap turned this list into an infographic, which you can see here.